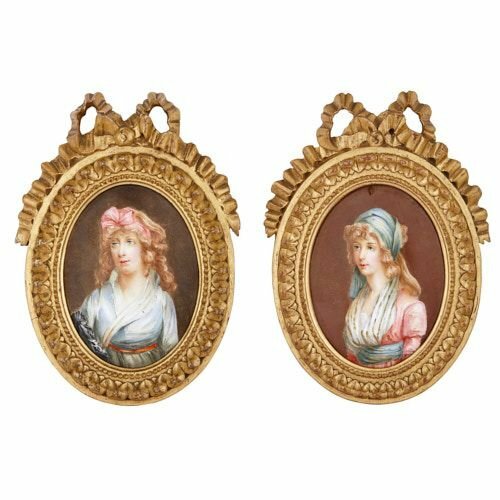 These Limoges enamel plaques have been exquisitely painted using short well-blended strokes of colour, resulting in a highly naturalistic style. The pair of plaques depict two women who look very similar. It is possible the women are related, or that the paintings depict one woman, dressed and posed slightly differently. In one portrait, a young fair-haired woman is shown with her body facing the viewer, and her head turned to the right. She gazes off into the distance, a dreamy expression on her face. The woman wears a light blue dress, which is tied around her waist with a red band. She has a large, light pink bow in her hair. This portrait is set against a dark brown backdrop. 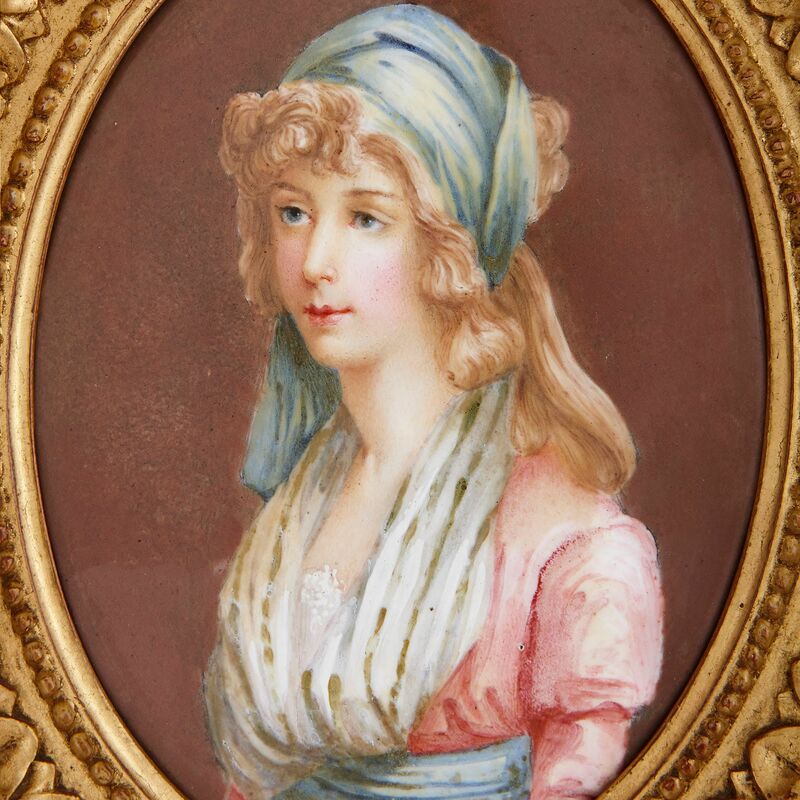 The second portrait depicts a woman with similar blonde, shoulder-length curly hair and facial features. 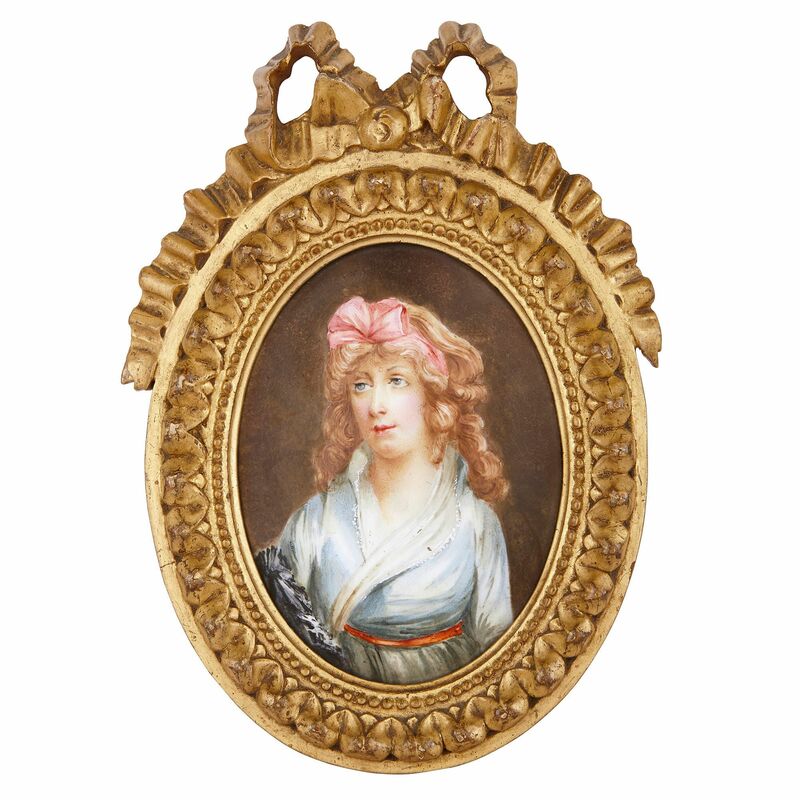 The sitter's body and head are turned slightly to the right, and she similarly looks off into the distance. The woman smiles faintly and appears lost in thought. 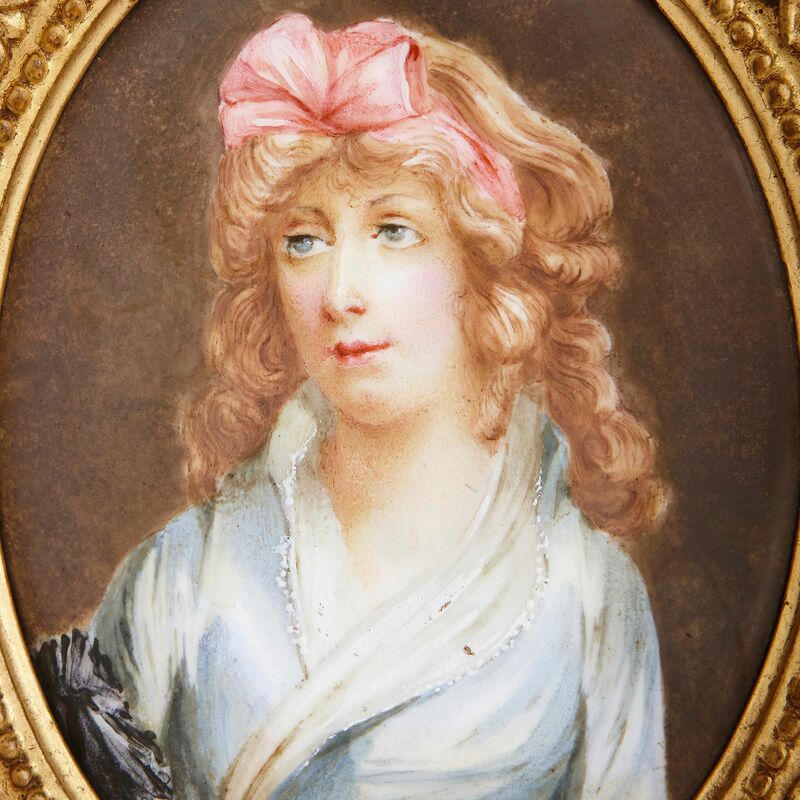 She wears a light pink dress, with a light blue sash tied around her middle. A white shawl hangs from her neck, and a light blue scarf is tied around her head. The background is a light brown colour. 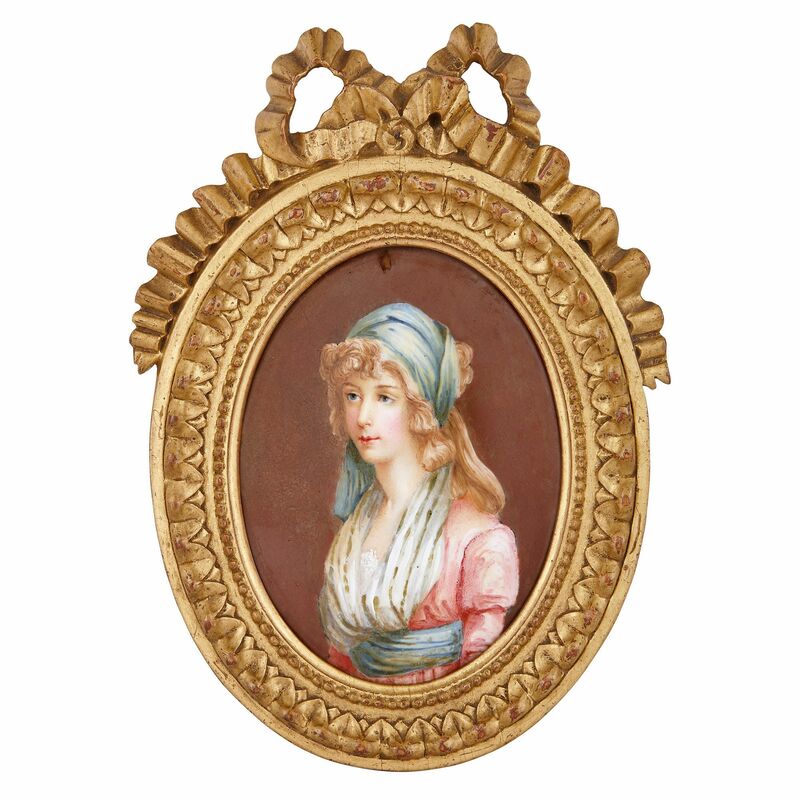 Both enamel paintings are displayed in oval-shaped, giltwood frames, with carved leaf and beaded borders, and topped by a crinkled ribbon bow. 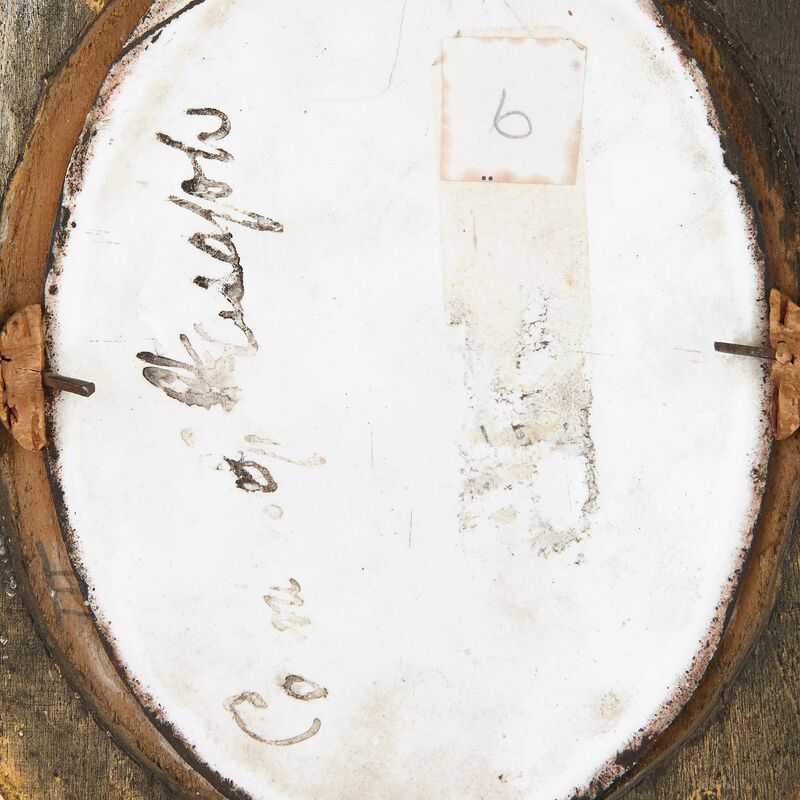 One portrait is signed indistinctly on its back, with what appears to be 'Countess of'.